Preparing to grow your family is not just picking out onesies and looking at ultrasounds. According to the USDA, it costs more than $233,000 to raise a child until age 17. That doesn’t even take into consideration the amount you put towards college education. Adding a member to your family will impact you financially which is why financial planning is crucial for a stable financial future. Consider how your household income will be affected by unpaid parental leave once your new baby arrives. Make a schedule of how your expected income will be spent during this time to ensure that all expenses are covered. 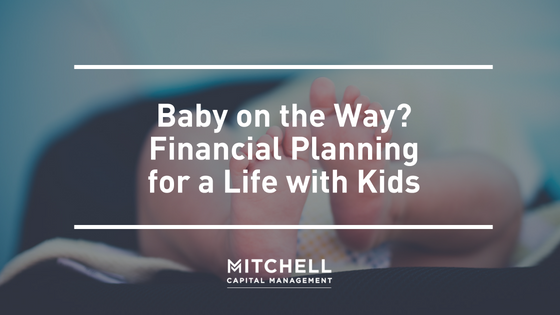 If you are thinking of staying home with the baby long-term, it’s essential to figure out if you need to cut spending to make one income successful for you and your family. Your emergency fund just became even more important! It’s no longer just you anymore; now you have a baby to take care of. Check the amount in your emergency fund and continue adding to it if your budget allows. If you don’t have an emergency fund yet, now is the time to start! A savings of 3-6 months of living expenses is a strong start. It’s never too early to start saving for when you’re ready to start a family. The more preparation your finances have, the easier the financial transition will be for you and your family. Set aside a certain amount from each paycheck that can be saved and used for unexpected expenses that might arise and planned ones that you know are already coming your way. Look at your health insurance policy and your partner’s policy and decide what makes the most sense moving forward, whether that’s one plan or two plans. If your employer offers a flexible spending account, it might be smart to put some money into it for pregnancy-related expenses. Child care is a huge added expense that can really throw off your budget! Keep in mind, that infancy is when child care is the most expensive. Your finances can play a big role in your child care decision and can be a determining factor in your decision to stay home with your baby, hire a part-time babysitter, or sign up your little one for daycare. Adding a baby to your family can have an immediate impact on your finances but it can also affect your ongoing and future financial security. Plan for ongoing expenses such as necessities like food and diapers and think ahead to summer camps, piano lessons, after-school programs and even college. Four out of five households no longer fit the traditional mold of mom, dad and 2.2 kids. There isn’t a one-size-fits-all approach to financial planning for starting a family. Consult a financial planning professional to discuss the best path to a secure financial future for your growing family.